If you are looking at pursuing a trucking career with PAM Transport, the Driver Solutions Training Program can help you get started. We have partnered with PAM Transport to offer company sponsored CDL training opportunities. This allows you to get the proper truck driver training without the upfront cost and gives PAM the benefit of employing you as a well-trained, safety conscious driver. 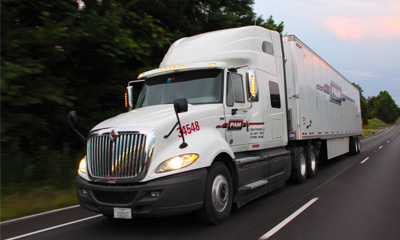 PAM Transport operates around 1,800 trucks between their OTR, Northern Dedicated, and Southern Dedicated divisions. This makes them large enough to offer great trucking career choices, but small enough to really value their employees. If you are interested in getting a trucking career started with PAM Transport, just complete our online trucking application by clicking on the Apply Now button.